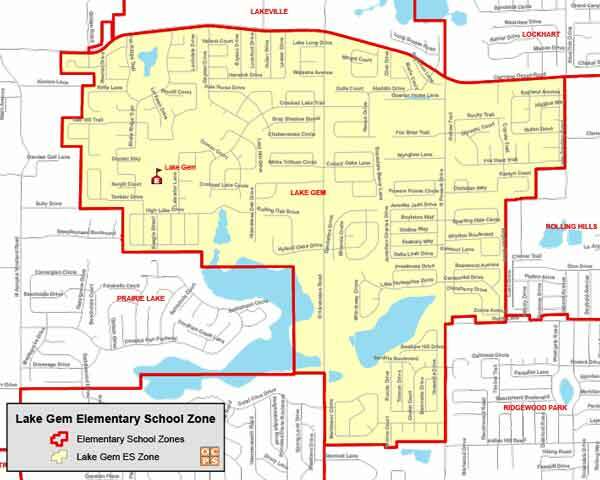 Searching for a home within the Lake Gem Elementary School Zone? Then you are in the right place! We work hard to make your next home search easy and efficient, so that when you are ready to buy or sell, we are ready to help! Lake Gem Elementary School History and Information: Lake Gem Elementary is located within the Hiawassee Oaks and Robinson Hills neighborhoods. Lake Gem was established in 1998, and has been a high performing Title I school for several years. The school has earned the school grade rating of "A" from the Florida Department of Education since 2005. Preparing students for the 21st century is a priority for the staff at Lake Gem, and technology is integrated throughout the school in support of this mission. Lake Gem Elementary earned the Five Star School Award in 2012 for its outstanding parent and community involvement activities. The Golden Star School Award has been awarded to the school for several years, based on the countless hours volunteered by our school ADDitions. In the 2011-12 school year, the Lake Gem Elementary Chorus earned a first place award for "Most Creative" in the 2011 Apopka Christmas Parade. The Lake Gem Chorus also performed at the Orlando Magic Pre-Game Show in April 2012. Lake Gem Elementary, with the support and involvement of families and the community, continues to learn, lead and achieve in the 21st century.